Early on in the documentary Amy, Nick Shymansky, friend and one-time manager of the titular soul singer, reflects upon a time before her fame when she was very nearly forced into rehab. There’s a sorrowful, what if tone to his recollection, as he imagines that just maybe if she had been treated for alcoholism before fame took hold of her life, things could have been different. In another segment, Amy’s mother explains how she simply shrugged off the early, painfully obvious signs of her daughter’s bulimia. 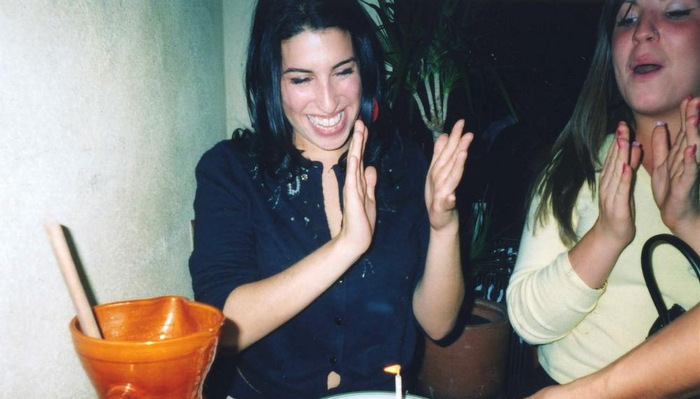 The film obsessively chronicles such missed opportunities throughout the short life of Amy Winehouse, as if searching for a way to reverse a foregone conclusion. In telling the full story of the pop sensation and committed jazz singer, from her incidental record label audition in North London to her well-documented struggles with alcoholism and drug addiction, the documentary shifts its focus to the many people and forces in her life. Most significantly, father Mitchell Winehouse’s absence throughout her childhood—and predictable resurfacing upon her rise to prominence—is painted as ground zero for the many issues that would haunt Amy in the future. It’s not all on the self-serving Mitch Winehouse however. Director Asif Kapadia (Senna) often turns his focus to the audiences, the people who clambered for more, and the opportunistic media that provided more photos of Winehouse at her worst and crummy late show jokes at her expense (looking at you, Jay Leno). 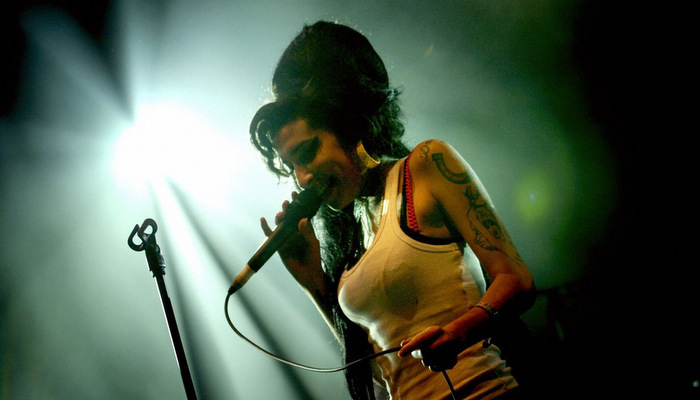 The film suggests that Winehouse was never truly cut out for fame, and uses her unique accessibility to help audiences understand the negative impact the exposure had upon the accidental celebrity. We’ve all heard the tired old adages that fame isn’t all it’s cracked up to be, but rarely has it felt this painfully true. Amy didn’t want to be famous and by most accounts, she shouldn’t have been. Who ever heard of an internationally popular jazz singer in the 21st century, much less a young Jewish Londoner with the voice of a world-weary 60-something southerner? There are rises and falls aplenty in her story, but Amy’s finest moments aren’t defined by crack cocaine or Grammys or heartache, but about her idiosyncrasies, whether she’s star-struck in meeting her idol Tony Bennett or adopting a phony accent to give her friend a hilariously offbeat tour of her latest hotel suite. 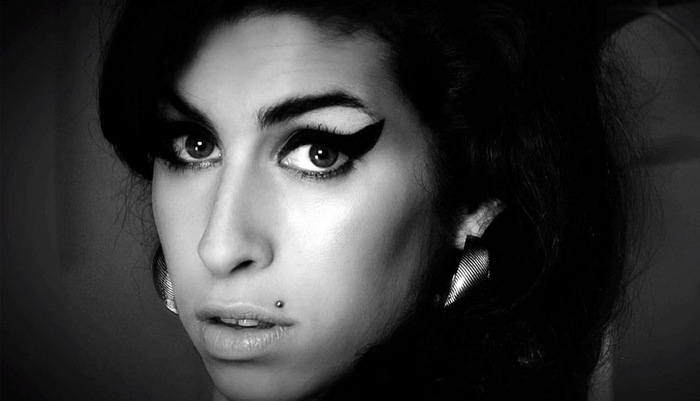 Amy is such a fantastic documentary partially because the filmmakers had a rich subject in Winehouse. Not only is she a fascinating personality, but she also grew up in the dawning of the digital age, leaving behind no shortage of off-the-cuff footage of her simply existing. It’s thanks to these splices of films that Amy goes beyond a recounting of her life story to become something much more personal. Another of the film’s greatest assets, however, comes from the very thing that made Winehouse such a star in the first place—her music, and her knockout voice. The songs she put to record so directly reflect her emotions and the recent events of her life that there’s no need for a talking head to explain what she was going through. Few would be surprised that her song “Rehab” is based on experience (she indeed said, “no no no”), but soulful ballads like “Back to Black” gain in power when placed in the context of her toxic relationship with Blake Fielder. I knew next to nothing about Winehouse’s life and music before entering the theater, but emerged feeling as though I had known her through all her struggles. I could easily imagine her as the sort of sweet but damaged girl one might befriend in high school, and then gradually lose touch with in the following years, as she lost herself to an addiction I could no longer bear to watch. 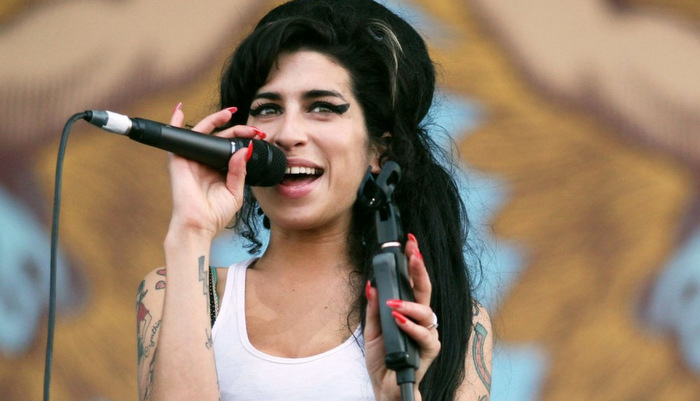 In Amy Winehouse’s case, however, millions watched and even profited from her slow downfall. It’s easy to forget that even the most self-destructive celebrities are simply people. Amy makes sure no one will make that mistake again, at least when it comes to Winehouse. This entry was posted in Documentaries, Out in Theaters and tagged Amy, Amy Winehouse, Asif Kapadia, Documentary, Out in Theaters, Reviews. Bookmark the permalink.